Been a while since I've blogged, so here's a mega-post off today's "Meet the Freshmen" at the Werth Center. This group of frosh is calling themselves "The Top Five," and they certainly could be one of the program's better classes when it's all said and done. 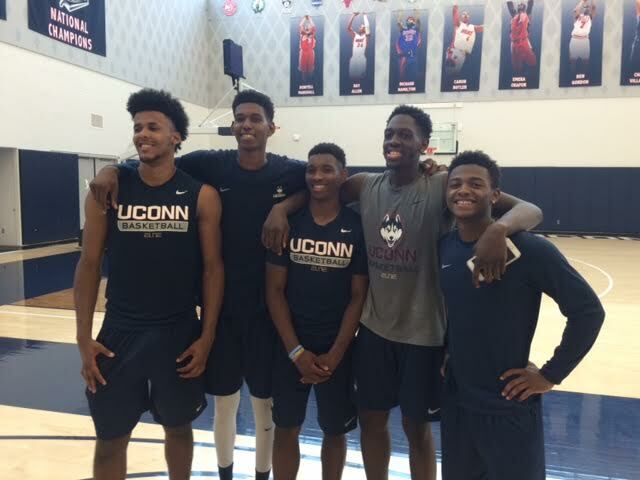 'The Top Five' (l. to r.), Vance Jackson, Juwan Durham, Christian Vital, Mamadou Diarra, Alterique Gilbert.